Nominations are now OPEN for the VodaFest Community Award 2015! Entering its second year, the Award publicly recognises achievements of a person/s who has made a significant contribution to Australian Czech & Slovak community. A worthy nominee search is NOW on! 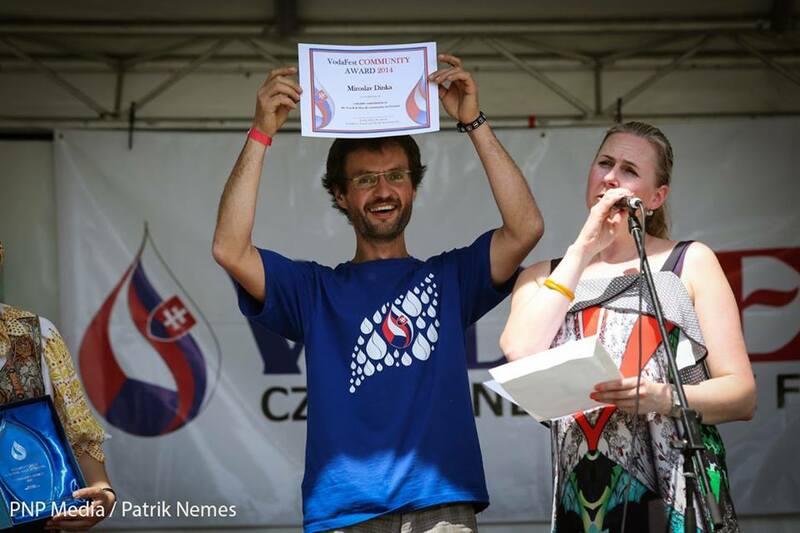 The VodaFest Czech & Slovak Association invites community members to have their say and nominate their hero. If you know an individual or group making a real difference in our community, why not nominate them for the VodaFest Community Award 2015?! This annual award will be presented at VodaFest Czech and Slovak Festival 2015. Open to all members of the public to nominate or be nominated. Closing date for Nominations is 31 October 2015. The received nominations will be considered by the VodaFest Committee and the winner will be announced at VodaFest 2015, Austrian Club 90 Sheehan Rd Heidelberg West, on Saturday 7th November 2015. Nomination forms can be downloaded below. Submitted by Anonymous on Tue, 13/03/2018 - 7:22pm. Hi there all, here every one is sharing these kinds of experience, so it’s fastidious to read this webpage, and I used to go to see this web site daily. Submitted by Anonymous on Thu, 08/03/2018 - 8:53pm. I definitely enjoying every little bit of it. It is a great website and nice share. I want to thank you. Good job! You guys do a great blog, and have some great contents. Keep up the good work. Submitted by Anonymous on Thu, 15/02/2018 - 1:51pm. Submitted by Anonymous on Tue, 13/02/2018 - 8:30pm. Keep up the good piece of work, I read few content on this internet site and I think that your site is really interesting and has got lots of great info. Submitted by Anonymous on Sat, 10/02/2018 - 4:07pm. great post, very informative. I wonder why the other specialists of this sector don’t realize this. You should proceed your writing. I’m confident, you have a great readers’ base already! Submitted by Anonymous on Tue, 30/01/2018 - 1:56pm. Submitted by Anonymous on Sat, 16/12/2017 - 10:12am. Submitted by Anonymous on Thu, 14/12/2017 - 1:01pm. Submitted by Anonymous on Tue, 12/12/2017 - 4:55pm. Thank you for the information.. Submitted by Anonymous on Mon, 04/12/2017 - 2:31pm. Submitted by Anonymous on Mon, 04/12/2017 - 2:22pm. Submitted by Anonymous on Thu, 30/11/2017 - 11:43am. Submitted by Anonymous on Tue, 07/11/2017 - 6:57pm. This is the most interesting information and fit into our topic. Submitted by Anonymous on Tue, 07/11/2017 - 5:27pm. Submitted by Anonymous on Sat, 04/11/2017 - 2:52pm. Submitted by Anonymous on Fri, 06/10/2017 - 6:05am. Submitted by Anonymous on Thu, 05/10/2017 - 5:54pm. Submitted by Anonymous on Thu, 05/10/2017 - 5:53pm. Submitted by Anonymous on Mon, 18/09/2017 - 5:10pm. Submitted by Anonymous on Fri, 08/09/2017 - 8:49pm. Submitted by Anonymous on Wed, 06/09/2017 - 11:10am. !! !, saya mendapatkan dana gaib sebesar 700jt dihadapan saya. Submitted by Anonymous on Fri, 23/06/2017 - 1:45pm. Submitted by Anonymous on Sat, 17/06/2017 - 1:51pm. Submitted by Anonymous on Sat, 17/06/2017 - 1:49pm. Submitted by Anonymous on Fri, 16/06/2017 - 4:45pm. We are expert in Handling, Packers And Movers jaipur and Packing & Shifting of Household Goods, Office goods, Commercial Equipment and Car, Logistics and Transportation. Submitted by Anonymous on Fri, 16/06/2017 - 10:49am. Submitted by Anonymous on Thu, 08/06/2017 - 1:32pm. Submitted by Anonymous on Thu, 08/06/2017 - 1:21pm. Submitted by Anonymous on Thu, 01/06/2017 - 11:33am. Submitted by Anonymous on Tue, 23/05/2017 - 4:34pm. Submitted by Anonymous on Mon, 22/05/2017 - 4:18pm. Submitted by Anonymous on Tue, 25/04/2017 - 4:12pm. Submitted by Anonymous on Tue, 18/04/2017 - 7:58pm. Submitted by Anonymous on Sat, 25/03/2017 - 4:12pm. Submitted by Anonymous on Thu, 26/01/2017 - 10:28pm. Submitted by Anonymous on Wed, 04/01/2017 - 5:00pm. This is really attentiongrabbing, You're a very professional blogger. Submitted by Anonymous on Wed, 04/01/2017 - 4:57pm. Submitted by Anonymous on Tue, 03/01/2017 - 8:28pm. Submitted by Anonymous on Tue, 03/01/2017 - 8:25pm. Submitted by Anonymous on Mon, 17/10/2016 - 6:23pm. Submitted by Anonymous on Mon, 17/10/2016 - 6:21pm. Submitted by Anonymous on Mon, 03/10/2016 - 7:07pm. Submitted by Anonymous on Thu, 22/09/2016 - 5:22pm. Submitted by Anonymous on Thu, 22/09/2016 - 5:21pm. Submitted by Anonymous on Thu, 22/09/2016 - 4:55pm. Submitted by Anonymous on Thu, 22/09/2016 - 4:54pm. Submitted by Anonymous on Sat, 17/09/2016 - 5:37pm. Submitted by Anonymous on Sat, 03/09/2016 - 4:27pm. Submitted by Anonymous on Thu, 01/09/2016 - 8:03pm. Submitted by Anonymous on Thu, 01/09/2016 - 7:47pm.